In making this online archive, we created the possibility to discuss several themes that we find relevant or fascinating. The object is not to find solutions in each post, but to reflect, and through words and images, to help us explore and grow. One of these themes that we share, has been a common interest in places that sometimes seem abandoned and lost, but upon at a closer look have some kind of meaning or value. These can be various, ranging from traditional materials to shape; it simply depends on the place. 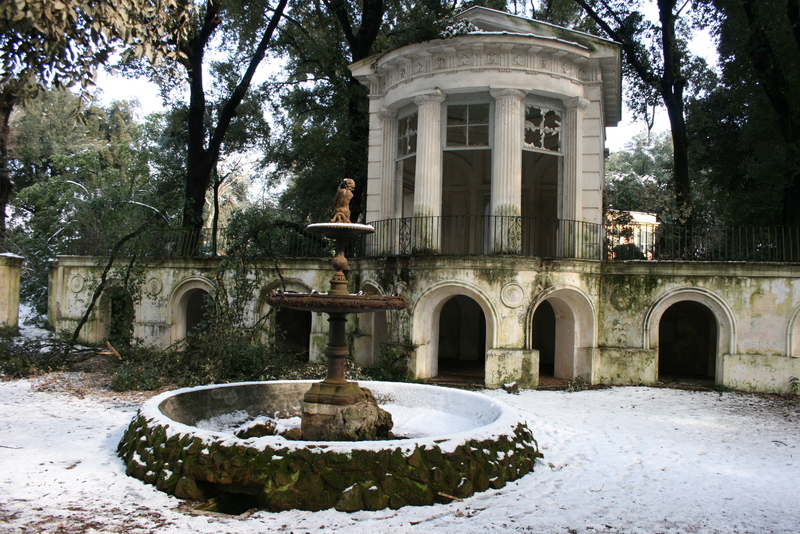 Whilst doing some exploring around in Rome, I literally stumbled across this place in the Villa Ada park. It was magical, it had this fairytale quality around it. I was captivated. 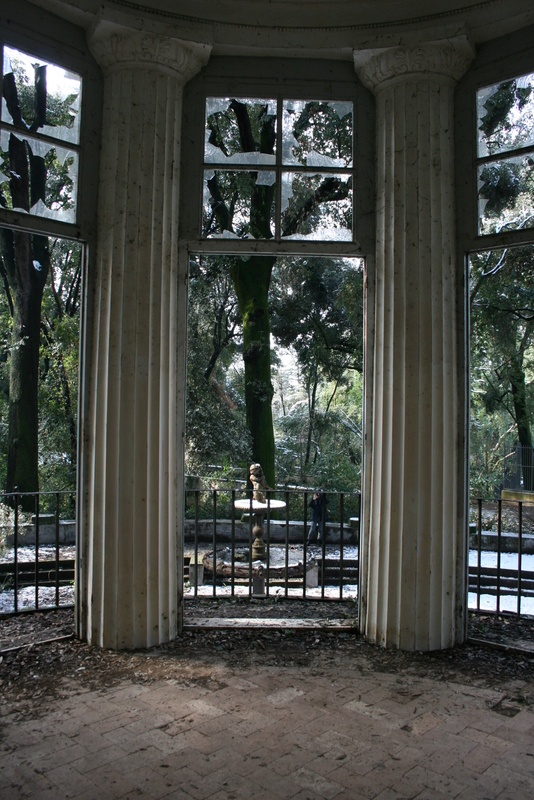 I later discovered that this is the Tempio di Flora, commissioned by the Prince Pallavicini and designed by Francesco Bettini in 1783. 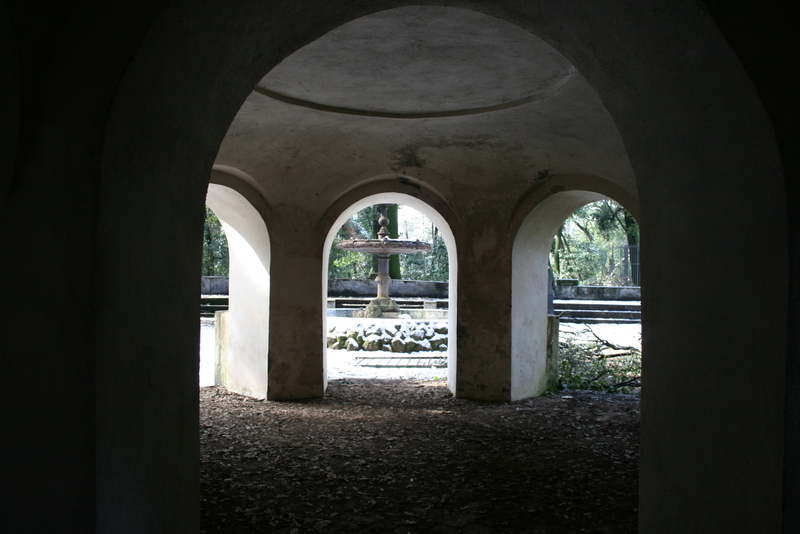 We found another amazing place tucked away behind the Arsenale. 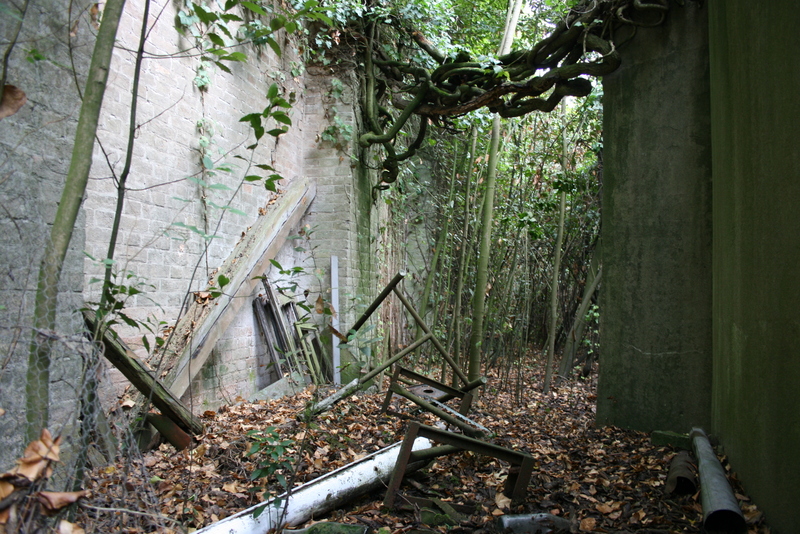 A concrete structure that most likely had been a bunker of some sorts had almost completely surrendered to nature, but you could still see the careful formwork and shapes of it peeking through the green. This along with a scattered installation of various objects together made one of the most memorable sightings of our outing. I have often asked myself why I get this feeling around places that have an almost derelict character. I think it has something to do with their being of this time, but evidently of some other time too. They have history imbedded in them, they stimulate the imagination. They make you ask all sorts of questions. They have a spirit. Sometimes, as in these pictures, you can see the great material quality imbedded in past structures. Perhaps other people would experience these places in a different manner. Perhaps they would feel the urge to clean them up, organise them, make them “as good as new”. But I think it is important that some places (this does not apply everywhere) retain an imbedded sense of the passing of time. It is this historical landscape that makes an urban area interesting, a place where you can still discover things, that serves as a stimulus to our imagination and as a direct link to a past that is always present. It’s really interesting that Sigrun decided to write about this now, when we are working on a competition together and are looking to the ruins and derelict structures around the site for inspiration and direction. 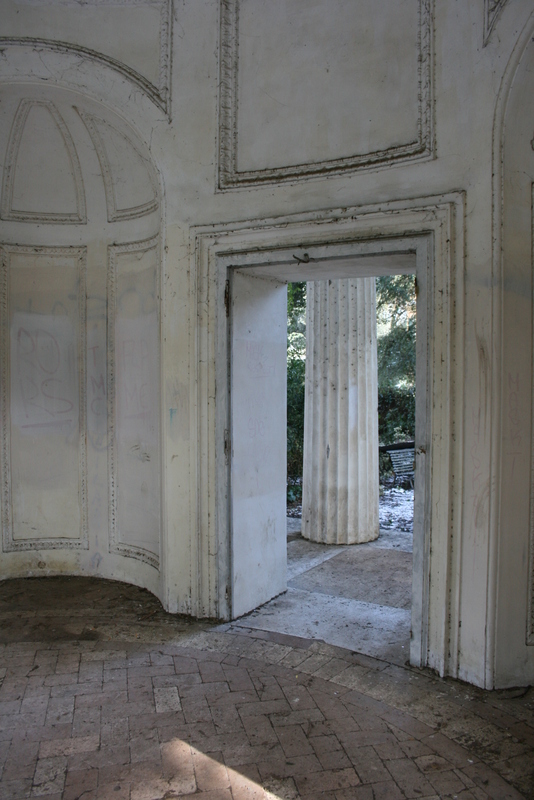 When we studied together at the TU Delft , we were both very interested in the potential and strange beauty of dilapidated and lost spaces. It is no accident that many successful cultural spaces have appropriated derelict or disused commercial or industrial buildings. During my research in Delft I discovered some spaces of real interest, that went on to inform my design for a Flemish cultural centre in Amsterdam. One of the buildings I stumbled across was the Montevideo Warehouse in Antwerpen. Myself and my friend Jorrit came across the warehouse, after visiting the nearby residential towers by Diener&Diener. Built in 1895 as a vast food store, it has been abandoned since the 1950s and when we visited in 2010 it was clear that decay had taken hold of the structure. During Monumentdag in Amsterdam Sigrun and I visited a derelict 17th Century Merchant’s house or Grachtenpand on Oudezijds Achterburgwal. It was a rare treat to explore the original layout of these historic structures – the building blocks of Amsterdam’s historic centre. With their deep plans and tight central lightwells – they have a very particular sequence of long dimly lit rooms with luminous apertures to the diffuse Dutch light at canal-side and lightwell. Wow, so much character in the photos. Wonderful. Thanks for sharing. Apparently the architect Luc Deleu did a number of installations at the Montevideo Warehouse in the 1980s!